There's a whole host of reasons why the safe removal of asbestos in North Vancouver isn't a task a home or business owner can tackle on his or her own. You likely only need to know one - it's a hazardous material that can induce serious, and permanent, health problems for those who become exposed to it. Up until the 40 years ago, asbestos was integrated into building materials because it had been proven to have effective fire-retardant properties. Early in the 1970s, however, it was determined that asbestos fibres were in a fact a major health risk, with the inhalation of them being linked to the development of a number of respiratory and other health ailments. A good many buildings built before this era still contain this hazardous material. This is true all across the Greater Vancouver area, and home and property owners on the North Shore can turn to Urban Environmental for North Vancouver asbestos abatement. 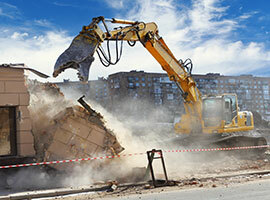 They've got the expertise, experience, and knowledge of best practices to ensure the entirety of the asbestos is removed, and they also see to it the material is disposed in an environmentally friendly manner. Prolonged dampness in a cool shaded spot with plenty of oxygen can lead to the development of mold. With your home or business property, it’s a problem you definitely want to nip in the bud. 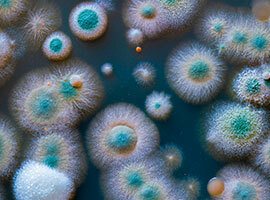 Urban Environmental has helped many owners with the safe removal of mold in North Vancouver. Left unchecked, mold infestations can also cause serious health problems, and they are particularly dangerous for young people, the elderly, or those with existing respiratory ailments. Urban Environmental takes a thorough and complete approach to the job that ensures the problem is eradicated completely. They also take specific steps to minimize the chance that the mold infestation has any chance to re-establish itself, and can also advise the home or property owner on steps they can take to further that unlikelihood. Send mold packing the same way as asbestos! Call Urban Environmental and receive expert North Vancouver mold remediation. Whether you want it in, our you want it out - you can’t go wrong choosing Urban Environmental for the job. They’ve got a long-standing reputation for excellence with nearly any type of North Vancouver property restoration project, including vermiculite removal, insulation installation or removal, grow-op testing, crime scene clean-up, and bio-hazard cleanup. The job will be done right, completed in its entirety, and for a fair price. Count on it!